Radiation therapy is an effective treatment option for patients with malignant mesothelioma. It works best in combination with other treatments such as surgery. Radiation therapy is effective in treating patients with all stages of malignant mesothelioma. It is best used to shrink or stunt the growth of cancerous tumors. In patients with early stage mesothelioma, radiation is often combined with curative surgical treatments. In the advanced stages, it is used to provide pain relief to patients. Radiation treatment used in a multimodal setting before and after surgery has had the result of increasing life expectancies in some cases. Innovative radiation techniques can be used to directly target tumors, sparing healthy cells and tissue. Radiation treatment is used for pain relief purposes in patients in all stages of mesothelioma by shrinking tumors. Mesothelioma is a rare cancer, and most oncologists don’t have extensive experience treating it. It’s important to find a doctor who specializes in mesothelioma treatment. A patient’s doctor (or team of doctors) recommends a treatment plan for them, which may include radiation. If so, a radiologist or radiation oncologist consults with them. Patients should seek out radiation oncologists who have experience treating mesothelioma. Patients having difficulty finding the right mesothelioma specialist can use our free Doctor Match program to connect them with a specialist. Radiation therapy consists of noninvasive treatment sessions. During these sessions, high-energy beams such as gamma rays or X-rays are used to target malignant tumors. Radiation oncologists prepare patients for their treatment by performing a simulation, which maps out the region and allows for doctors to ensure exact targeting. Treatment itself is painless and lasts only five to 10 minutes. The entire office visit only lasting around 30 minutes. Patients simply come in to the office and lie still while the radiation targets the cancerous tumor. Side effects like nausea or general fatigue may occur following procedures, but this is normal. Radiation therapy is a key tool in the fight against mesothelioma and most patients believe the benefits outweigh the side effects. In 2009, Duke University learned that patients with stage 1 to 3 mesothelioma who were treated with the combination of radiation and chemotherapy increased their remission chances by 50 percent. Studies also show that after a radical surgery, such as an extrapleural pneumonectomy (EPP), the combination of radiation and chemotherapy improves life expectancy. Some patients have lived five years or longer with this treatment combination. There are different types of radiation therapy that are used on mesothelioma patients. These options are considered after examining tumor size, metastasis, staging and general health. There are two general types of radiation therapy: external beam radiation and intraoperative radiation therapy. External beam radiation is effective for all stages of mesothelioma and is noninvasive. There is typically no preparation for external beam procedures. This method of radiation has significantly improved life expectancies in patients who combined this treatment with chemotherapy. IORT applies radiation directly to tumors during surgery. This allows doctors to avoid passing radiation through healthy tissue. IORT is used in early stage patients who are eligible for surgery. The use of IORT during surgery has contributed to increased survival times in many patients. SMART is a multimodal treatment procedure that uses Intensity Modulated Radiation Therapy (IMRT) prior to undergoing a radical extrapleural pneumonectomy (EPP). This is a relatively new and somewhat unconventional procedure, as it administers large doses of radiation first. Multimodal treatments with surgery and radiation typically apply the radiation following surgery. With the SMART method, a higher level of radiation can be administered with less fear of harmful side effects to the patient, as the toxic area is then removed in surgery. SMART is already providing promising results, with one study showing that 84 percent of patients who received the procedure survived three years or longer. In 2010, the 3-year survival rate for pleural mesothelioma patients was 10.8 percent. The purpose of combining IMRT and the EPP is to kill mesothelioma cells surrounding tumors in the lung. This also makes surgery more successful, as it removes a larger percentage of the cancer. Using the SMART procedure, patients are given IMRT over a period of 5 days prior to surgery. This procedure has shown better results than post-operative radiation in terms of survival and reduced side effects. Patients speak with a radiation oncologist who determines the best type of radiation therapy to use. This specialist answers questions and helps determine a treatment plan. Patients are requested to bring all previous documentation with them. This includes X-rays, CT scans, MRIs, lab studies and other diagnostic tests. The physician performs a thorough examination and makes a recommendation for treatment. Prior to any procedure, patients have the right to understand their treatment plan, including any and all tests they’ve elected to undergo. Once patients confirm they understand their rights and the extent of treatment, they sign a consent form. However, patients may withdraw or amend their consent form at any time. Using a CT machine, also known as a simulator, a “map” of the location to be targeted with radiation is created. This only takes about an hour or so and is noninvasive. Simulation provides radiation specialists with the best imaging of the region they’ll be treating. It’s a critical step in the process of determining the best way to use radiation to affect the tumor. In some cases, a soft ink is used to mark the spot of the treatment beams. The tattoo is nearly invisible to the naked eye, but plays an important role in ensuring the most accurate treatment. Also, depending on the location of the tumor, molds can be created to protect certain areas of the body (the face, for example), from errant radiation. Treatment begins after confirmation of treatment plans and configurations. The average length of time for the daily treatment is 15 to 30 minutes and is performed five days per week. In rare cases, patients may receive two treatments per day. Generally, these treatments go on for three to 10 weeks but may be altered by the doctor. The technicians take X-rays once every week to confirm that the treatment has targeted the right location. Patients take part in follow-up appointments as well. It’s accepted in the mesothelioma medical community that radiation therapy alone doesn’t cure mesothelioma. However, epithelioid pleural mesothelioma patients who receive radiation therapy in conjunction with a curative surgery (such as EPP) have a 40 percent life expectancy improvement over surgery alone. Patients have been shown to live an average of nearly three years after this multimodal treatment. This is well above the average 16 months survival and continues to increase as further treatments are developed. Stage 1 and 2 patients who receive radiation in concert with a successful extrapleural pneumonectomy see a 30 percent decrease in risk of cancer recurrence. Jodi Page was diagnosed with epithelioid pleural mesothelioma at the age of 26. Jodi underwent an extrapleural pneumonectomy followed by three weeks of radiation therapy to prevent seeding – which is the tendency of cancer cells to reappear at the numerous incision points form the surgery. The radiation treatment was administered twice a day, everyday during this time. Over a decade later, Jodi is living healthily and has no signs of mesothelioma. Her specialists considered her radiation treatment a success. Radiation is an effective component of a mesothelioma treatment plan, but it has its drawbacks. Organs and tissue may be damaged when the body experiences high levels of radiation. Radiosensitizers and radioprotectors may modify the reaction to radiation. Researchers are learning more about certain chemicals that may help in regulating the cells that radiation may damage. Radiosensitizers are intended to enhance the tumor killing process while minimizing damage to human tissue. Many of these radiosensitizers contain oxygen. As tumors grow, they become more deficient in oxygen (hypoxia), causing the cells around them to weaken. When these cells weaken, they can no longer fight the tumor as efficiently. Radiosensitizers introduce more oxygen, which results in an increase in the effectiveness of radiation. Cisplatin is a widely used chemotherapy drug that also makes cancer cells weaker because it contains radiosensitizers. Radioprotectors act as shields for healthy cells as radiation enters the body. Although these cells are not fully protected, the drug also helps to repair them. These protectants block oxygen from getting to the tumors, but not to the healthy cells. When tumors become more hypoxic (oxygen deficient), they cannot grow or spread as quickly. Patients with mesothelioma are very likely to receive radiation because of its ability to shrink tumors and slow the growth of cancer. Radiation treatment is usually noninvasive and mesothelioma patients from stages 1-4 may be treated using it. Patients can expect to spend 15-30 minutes per day, 5 days per week receiving their treatment. While radiation treatment is not used in a curative manner on its own, it is highly effective as a complementary treatment option. Radiation therapy is found to improve life expectancy, decreasing the cancer recurrence rate. Get connected with a mesothelioma specialist who can offer the radiation treatment that is right for you. Radiation Therapy for Malignant Mesothelioma. National Cancer Institute. Retrieved from: https://www.cancer.org/cancer/malignant-mesothelioma/treating/radiation.html. Accessed: 10/10/18. Radiotherapy for mesothelioma. Cancer Research UK. 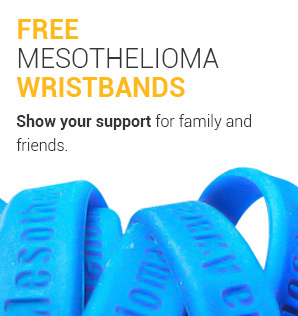 Retrieved from: https://www.cancerresearchuk.org/cancer-help/type/mesothelioma/treatment/radiotherapy-for-mesothelioma. Accessed: 10/10/18.